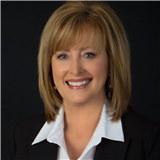 "I am very happy to provide a review of our Bakersfield residential buying experience last year with Terri Bender and her team. Terri really listened to understand our needs and saved us a lot of time by showing only properties that would work for us. Her guidance throughout the negotiation process and closing was phenomenal. Terri was on top of every point, invaluable - especially to an out of town buyer. Thanks, Terri. If we didn't love our home so much we'd do it again!" "Terri thank you so much for your hard work. I do appreciate all the effort you put into selling these properties. Thank you, thank you, thank you!!!" Thank you for visiting www.homesforsalebakersfield.net! This is a one-stop real estate website for all your home buying and selling needs in Bakersfield, CA. I’m a professional real estate agent who will help make your search for a new home an enjoyable experience. This is a one-stop real estate website for all your home buying and selling needs in Bakersfield, CA.